Calling all city chicks and dudes. 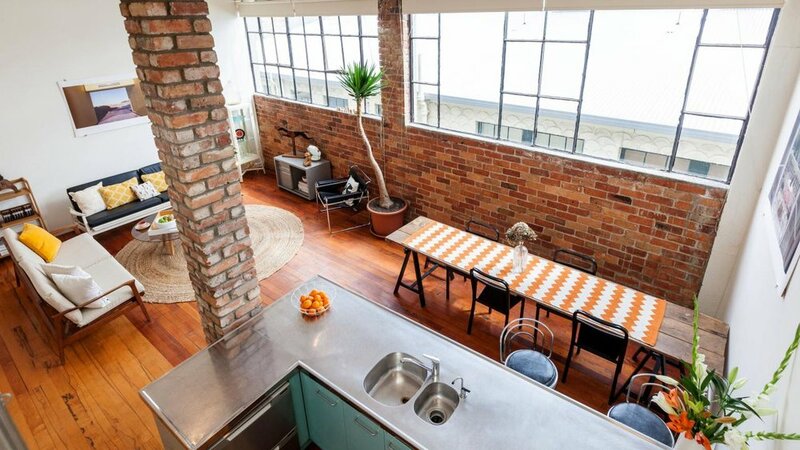 If you're looking for a pad that is close to everything important (ie cafes, bars and shops!) and is oozing with natural character, this baby is for you. The vendor is a very clever photographer and we worked together to choose just the right pieces from her collection to set the tone for each room. My favourite is 'Yellow Motel', seen here in the open lounge area.